Madison falls to Lawrenceburg 59-44. Jade Nutley 11 for the Lady Cubs. 1A #8 Jac-Cen-Del over Shawe 78-39. Kate Grote 24pts for the Lady Toppers. Switzerland Co. defeats South Dearborn 46-36. Aleah Thomas scored 23 to lead the Lady Pacers. 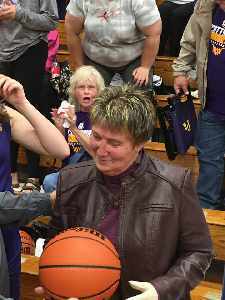 Scottsburg defeated New Washington 64-60 in overtime for coach Donna Cheatham's 700th career win in 44 seasons at Scottsburg and Southwestern (Jefferson). Cheatham won 198 of the 700 at Southwestern including the 2002 2A State Championship.